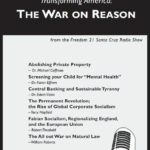 One set for you, five sets to give away to your local elected officials, friends, associates, and any others you think would benefit from and use this information. 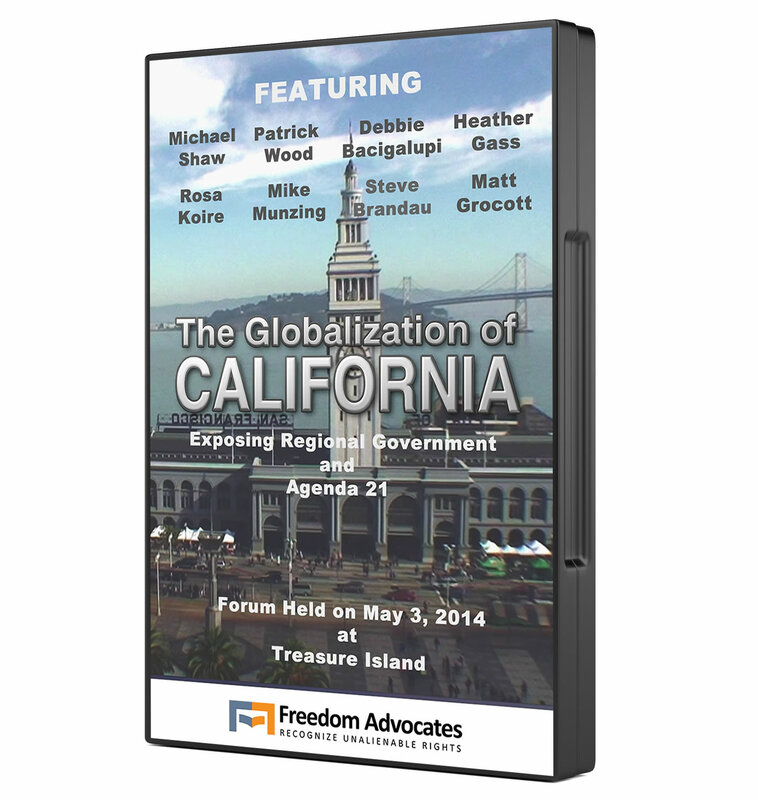 Each DVD set contains three-disks presenting the entire Globalization of California conference that was held on May 3, 2014 on Treasure Island in the San Francisco Bay. 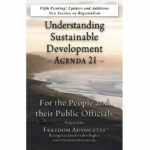 This six-hour treasure trove exposes the entire story of Agenda 21 and Sustainable Development in the context of the unconstitutional Plan Bay Area created by the Association of Bay Area Governments (ABAG). 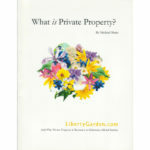 This special Activist Package contains one retail version and five not-for-resale DVD sets. This gives you a way to deliver the DVD sets to your friends and especially elected officials and key civil appointees in your local area. 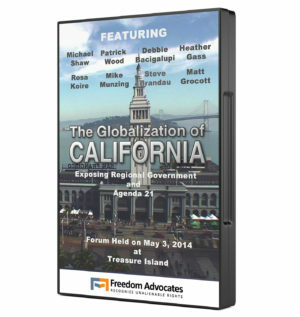 The Globalization of California Forum was held on May 3, 2014 and was the most important event of the decade, explaining and exposing the roots of Agenda 21 and Sustainable Development, and how they are radically transforming American government and private property. 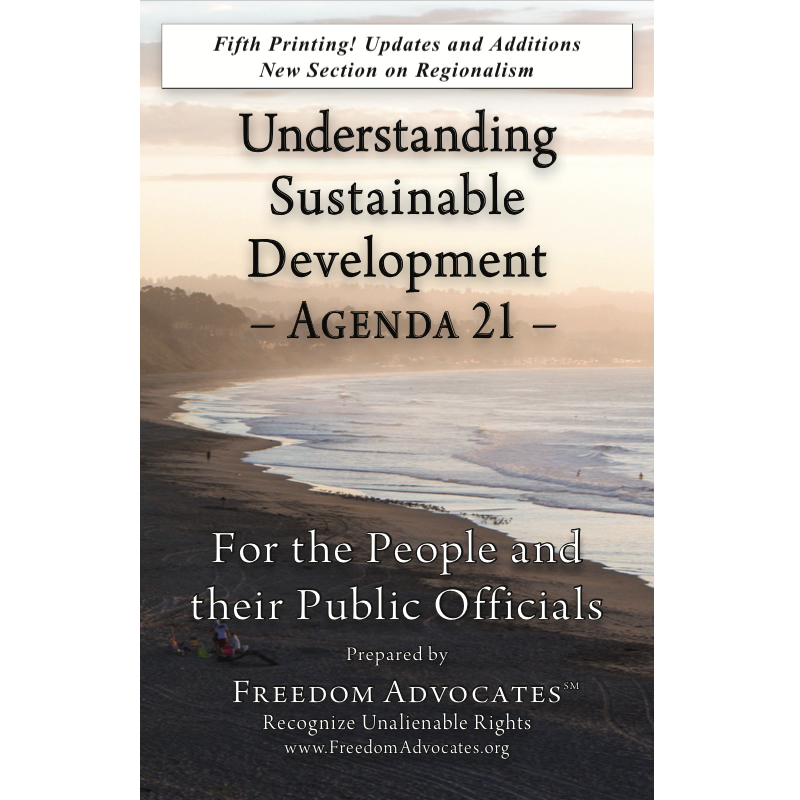 In California, unconstitutional and unaccountable regional governance entities are smothering local towns, cities and counties with an agenda of economic reformation found in documents and organizations like Agenda 21, the Global Biodiversity Assessment, Our Common Future and ICLEI. 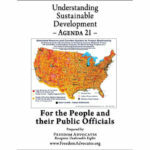 This Forum focuses on a regional organization called the Association of Bay Area Governments (ABAG), which controls 101 cities, 9 counties and 7 million residents.